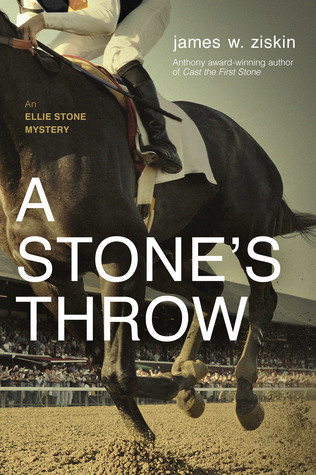 We’re off to the races in the sixth installment of the Ellie Stone series, and the excitement of the horse racing world mixed with the element of murder is thrilling. As a life-long resident of Kentucky, home of the Kentucky Derby at Churchill Downs, this book takes me down a familiar track that has me longing for a mint julep or a shot of bourbon. Through his exceptional writing and captivating storytelling, James Ziskin brings the spine-tingling rush of the starting gate to life as Ellie navigates her way through an unfamiliar race to reach the finish line alive and in possession of a murderer most ruthless. Due to a sleepless August night and listening to the police scanner, Ellie shows up at the early morning hours fire that destroys an abandoned foaling barn at Tempesta Farm, a former horse stud operation. Located between Ellie’s home beat of New Holland, New York and Saratoga Springs, the authorities consider it just another accidental fire of the dilapidated old buildings left to rot at the farm. But, ever the investigative reporter, Ellie convinces one of the deputies at the scene to walk with her through the ruins of the barn, and when Ellie pulls on what looks like a silk scarf in the ashes, it leads to two dead bodies. And, it is Ellie who, when the charred remains are first thought to be a woman and a boy, points out that the silk scarf resembling a racing silk jockeys wear might indicate that the boy victim is instead a jockey. With the proximity of Saratoga Racetrack and it being racing season at the track, it’s more than a good guess. With part of the property being in the county of Ellie’s good friend Sheriff Frank Olney and part being in the jurisdiction of another sheriff, Sheriff Henry Pryor, who doesn’t hold her in the same fond regards, it will be more challenging for Ellie to investigate, but being underestimated hasn’t stopped her from finding answers before. The main challenge is understanding the racing world and navigating it. Ellie turns to her best friend, Fadge, who is a dedicated follower of the Saratoga circuit and who has been working on perfecting his betting system for years. Accompanying Fadge to the racetrack helps Ellie learn the lingo and rhythm of this new world where it takes a village to get a horse ready to run one mile. Betting successfully on the outcome of that one mile race requires a knowledge about the horses and jockeys and track conditions and how it all interacts. Gaining much insight by watching and listening to Fadge, it is still up to Ellie to infiltrate the inner workings of the horse racing business by interviewing and researching the people involved, and as with most businesses where money is at the heart of it, there are some dangerous people in its orbit. Of course, Elly has never shied away from the perils that relentless pursuit of a story and justice bring. Her immersion into this foreign world will take Elly into contact with both the beauty and the ugliness of the horse scene, both on and off the track. Although searching for a killer, Ellie uncovers the chilling existence of bigotry and prejudice among the elite of the scene. There are meetings and on-scene snooping that put Ellie in the cross-hairs of a desperate killer. And, the twist I didn’t see coming is a gobsmacking delight. As I've stated in my reviews before, but which bears repeating each time, James Ziskin gives a dead-on depiction of the 60s, smoothly integrating that world into the story of murder. Since I grew up in the sixties, it is especially important to me that Ziskin gets it right, and he does, every time. From the mandatory white gloves worn at the appropriate times to the historical events, such as the Russian cosmonauts and the death of Marilyn Monroe, the author makes it real. 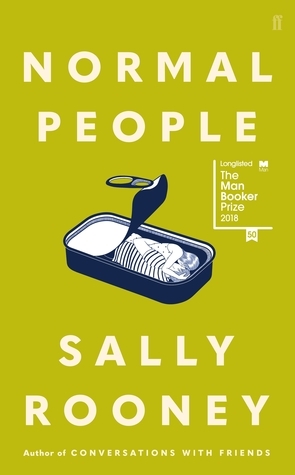 The challenges that Elly faces as a single woman in a journalistic career are ever present in the existence of the publisher’s no-talent, lazy son-in-law who is a constant threat to Elly’s job and some of the assignments she receives. In this book, the prejudices against Elly belonging to the Jewish faith are also brought to light. In fact, none of the social ills or prejudices extant in the 60s are sugar coated in this series. They serve as a cautionary tale of sorts, as to what we could return to if we aren’t vigilant. James Ziskin has created in Ellie Stone a woman of the emerging 60s, who is independent thinking and acting, breaking down barriers in the job market, determined, and still compassionate and with a great sense of humor. Of course, she isn’t perfect, and she’s the first to admit it. 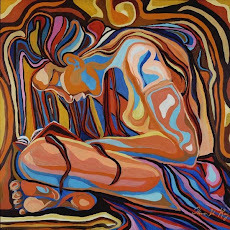 She still drinks too much and doesn’t always make the best choices in her romantic connections, but she is showing growth here, a learning from past mistakes. I was happy to see more of Ellie’s best friend Fadge in this book, and the proven assertion that men and women can be friends during a time period where female/male friendships weren’t as ordinary as today. In short, Ellie Stone is the perfect female character to guide us through the 60s (and beyond). I can’t wait to see this changing world through Ellie’s eyes again in the next installment of this series. One last note about A Stone’s Throw. It is published by Seventh Street Books, which happens to publish other favorite authors of mine. James Ziskin has a bit of fun with the last names of some of his fellow Seventh St. authors, and as in finding a murderer, it’s all in the details. Enjoy the hunt.